October 6th, 2018 - Does My Bomb Look Big In This? 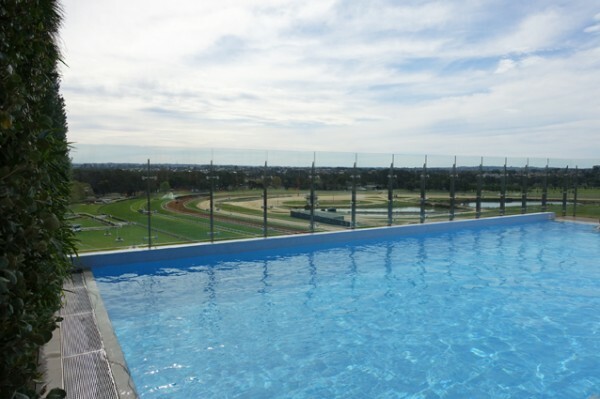 Launching earlier this year, the William Inglis Hotel is set track-side at Warwick Farm Racecourse. 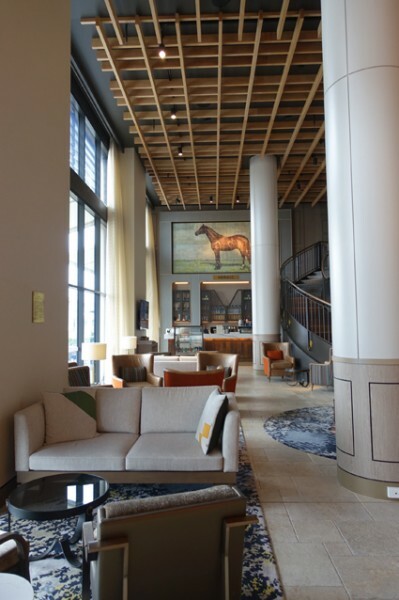 Named for Australia’s leading thoroughbred auctioneer, William Inglis & Son Ltd, the hotel pays homage to all things equine. While it is obviously geared at those frequenting horse races, and the horse sales that surround them, the has also become a bit of a hub for the wider area. 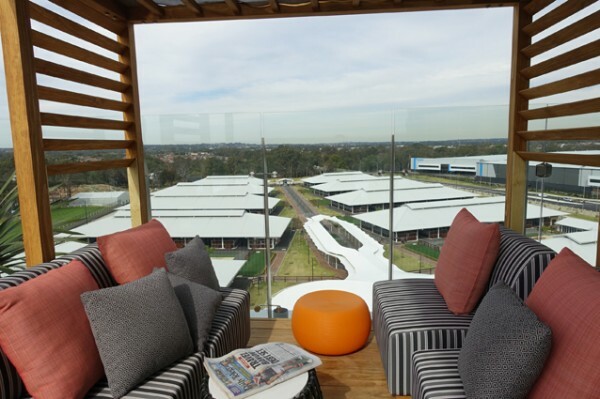 When South West Sydney’s premier black-tie event, the Liverpool City Council Charity Ball, jumped over from the Liverpool Catholic Club to host their 2018 event in The Sales Arena (part of Riverside Stables) at the base of the hotel, I took the opportunity to pay the hotel an overnight visit. 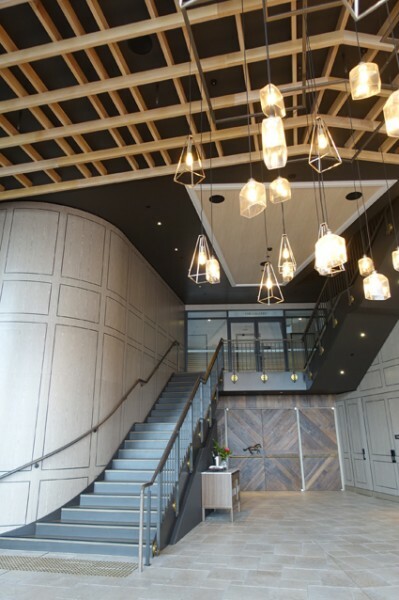 With an overnight stay including breakfast for two guests coming in under the two hundred dollar mark for a Saturday night stay, and a fairly bland exterior, I wasn’t expecting a soaring lobby with tasteful furnishings. 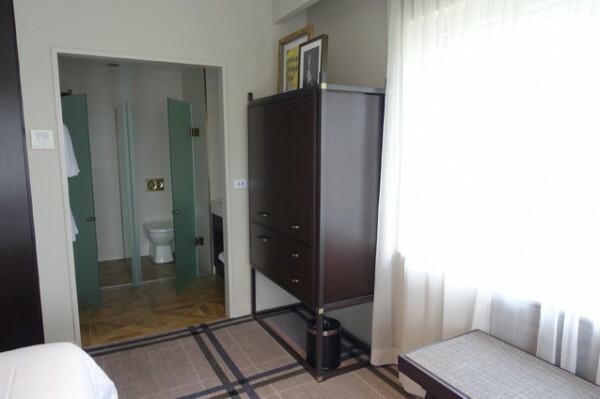 Perhaps I should have had more confidence in the parent MGallery by Sofitel brand, but I was still surprised to open the door to Flying Spur (all rooms are named for a horse) and see such a tastefully appointed room even in their lowest price bracket (Superior King). 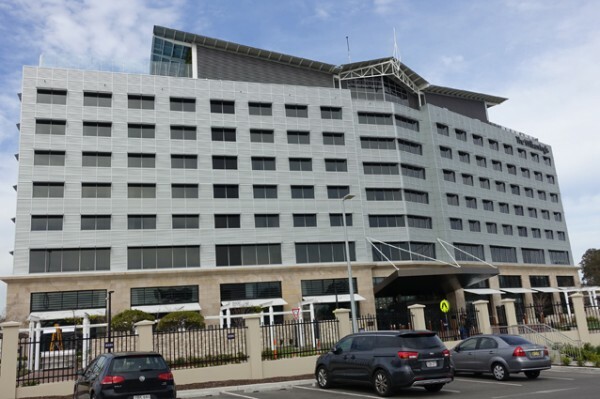 The taupe and blue colour scheme is still subtle but a definite advancement on the bland beige and brown five-star hotels so often employ. 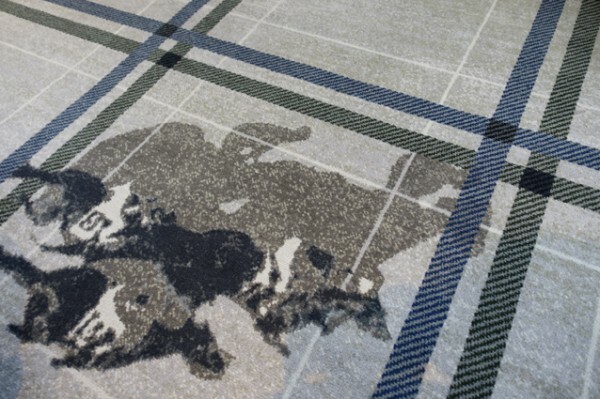 It extends all the way down to horse racing tartan carpet. 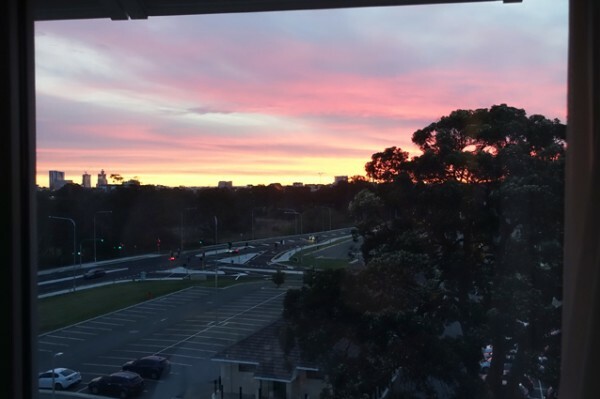 While some rooms face the racecourse, our corner room gave us front row seats on two sides for a rather epic Warwick Farm sunset, plus a peek at why the air conditioner of choice is a Daikin (their factory is across the road). Sadly keeping the room’s temperature to our liking proved to be a bit of a struggle, as every time we left the room, our Daikin reset itself to something much too warm. 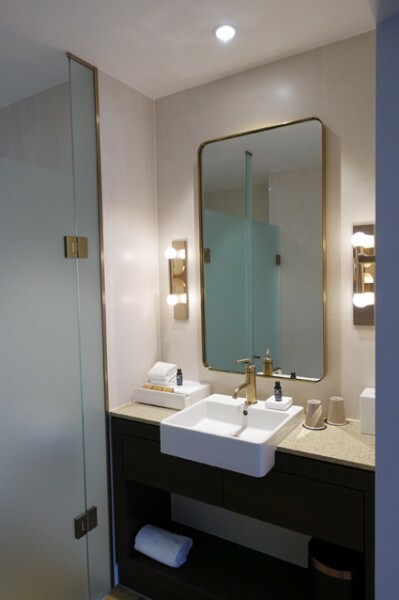 The bathroom was small but nicely appointed, with brushed gold fittings, and frosted glass screens separating out shower and toilet. The only niggle is that both of these spaces are left open to the wider room in terms of both sound and aroma. 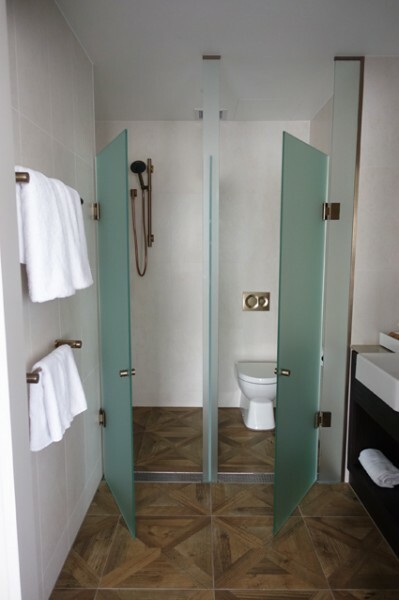 Yes, it turns out in a small room, bathroom doors are important. 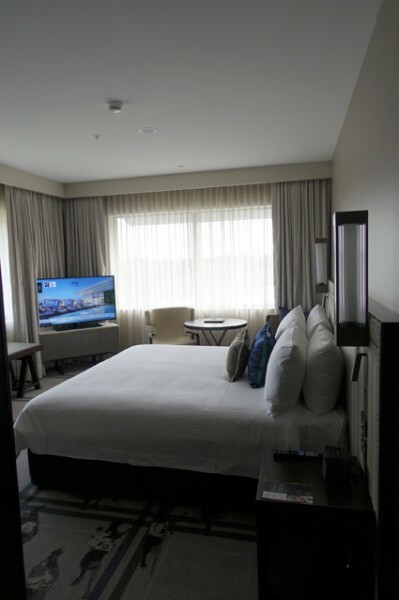 So here you’ll have to go hard on the Appelles Apothecary products and turn up the volume on the flatscreen television if your partner of choice is lying in the way-too-hard (why must we use awkwardly joined singles) king-sized bed. While fluffy, the almost too-high synthetic pillows were very hot to sleep on. 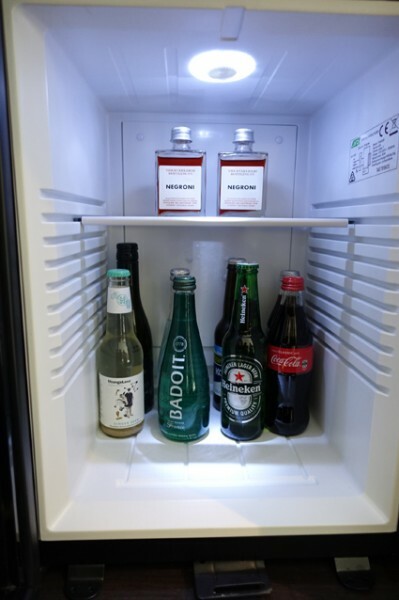 Care has gone into the minibar selection, with products I really like, like Kakawa Chocolate and StrangeLove Ginger Beer. I wouldn’t have even said they were price gouging, until I saw the price of the Eveleigh Bottling Co. Negroni ($30/85ml) – yep, thirty bucks for 1.6 standard drinks. 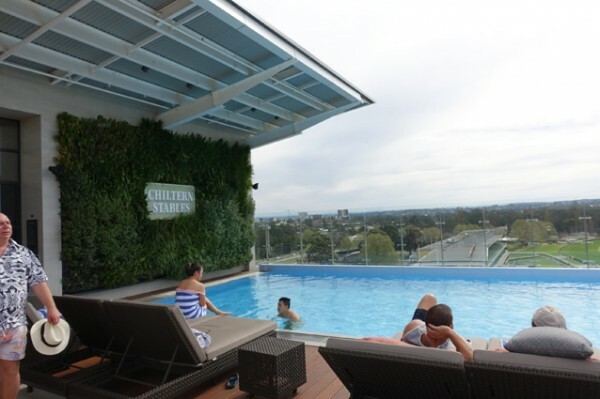 However with the Chiltern Pool Deck & Bar only being only open seasonally, unless you're visiting in summer you might have to wear the hefty price tag and smuggle up the well balanced premixed cocktail in the pocket of your bathrobe. 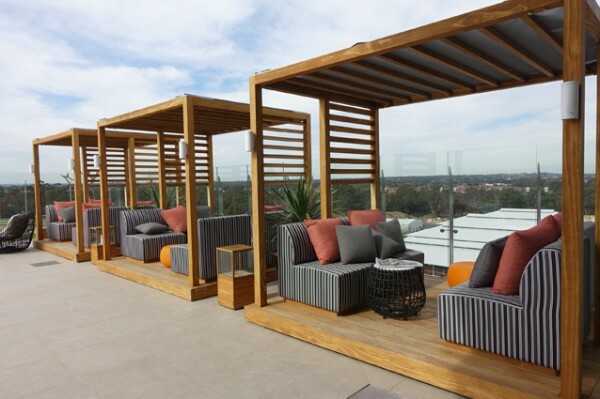 Up on level ten, you’ll find a small number of cabanas and sun loungers that overlook the pool and the excitement down below. With no races running on the weekend I visited, that meant acres of greenery on one side, and empty stables on the other, all separated from you by almost invisible glass fencing. The pool itself is small and not particularly deep, but with two high-powered swim jets at one end, there’s still fun to be had. 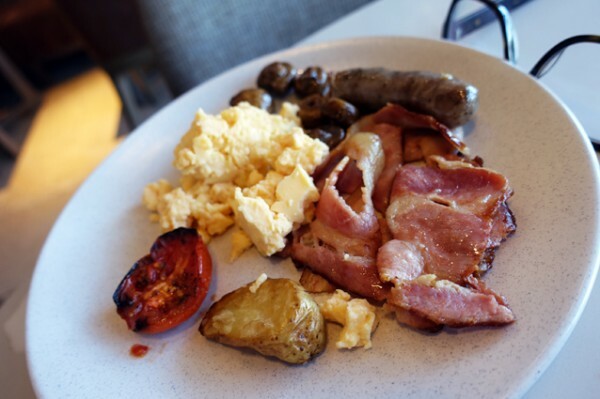 Breakfast, which can be included in your room rate, is taken in the Newmarket Room. 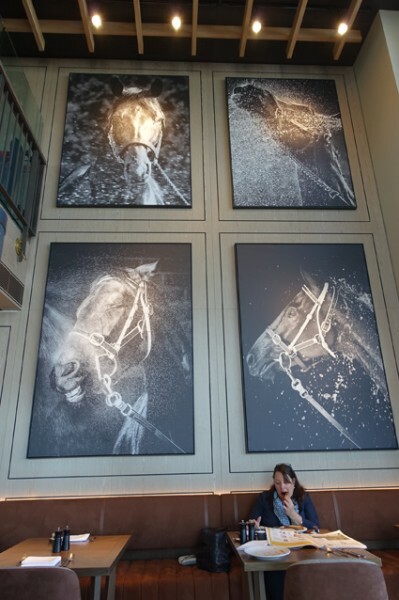 We were seated in a comfortable booth under large murals of bathing horses. 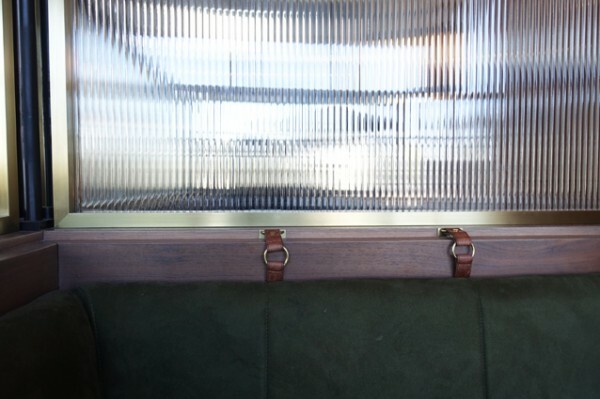 The same attention to equine detail extended to a row of buckles along the top edge of our padded olive green banquette. They would have perhaps been more fun as bedroom details if baby likes to pony... BYO riding crop and shiny boots. Breakfast is served buffet style from a range of heated silver chafing dishes. It’s a small selection of the usual suspects – scrambled eggs, baked beans, bacon, sausages, tiny button mushrooms swimming in liquid... I’m a bit bored to be honest, as I peruse the selection while I wait for my toasts to make their way through the communal toasting machine that (inevitably) needs two goes to actually turn the bread brown. 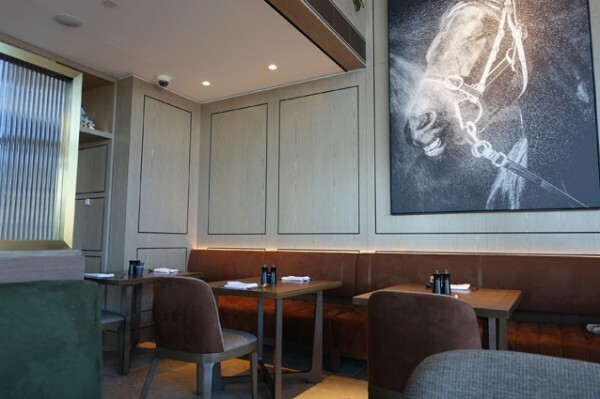 If you don't like warm, rubbery scrambled eggs, you can also get poached or fried eggs made to order from the kitchen, though timing them to the toast proves difficult. 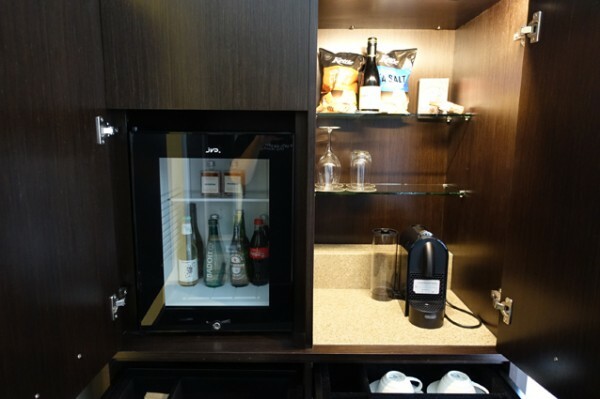 From the cold selections that include cereal, fruit, some cold cuts and pastries, the mini croissants are less bread-like than they are on most hotel buffets. Surprisingly though, it’s the coffee that’s the real win. 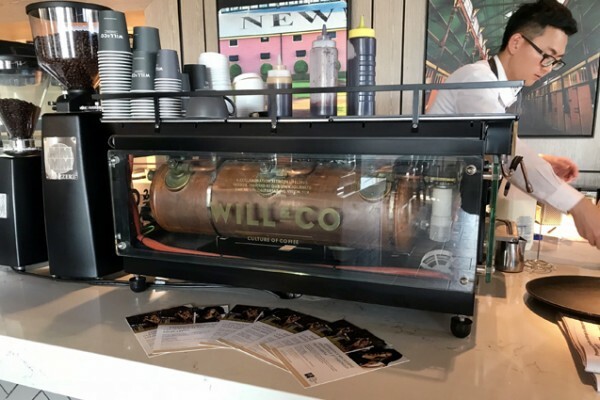 Beans, roasted by Sydney outfit, Will & Co., are put to good effect in made-to-order coffees pulled from a very stylish transparent Sanremo machine. 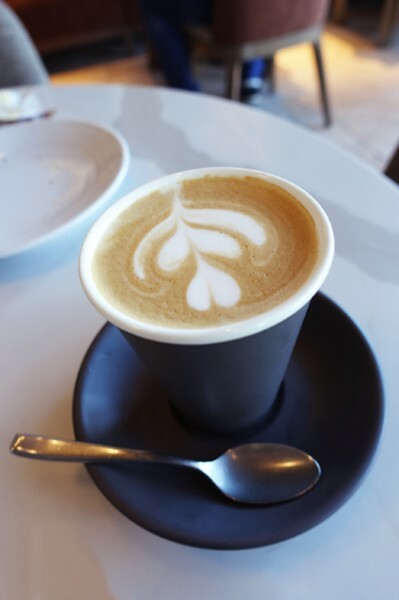 My latte makes me want another one, and for me, that’s pretty rare. 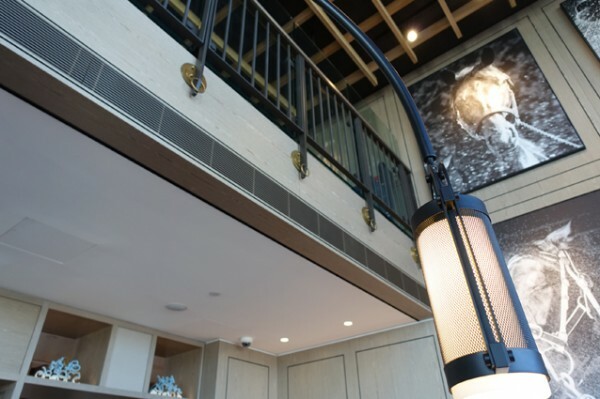 Stick The William Inglis Hotel in your head for the next time you're looking at upping the ante on date night. 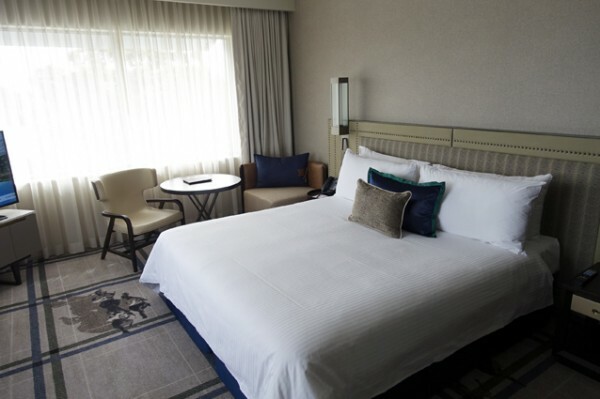 The hotel is also doing Short Escape packages that include a bottle of Veuve Champagne on arrival, dinner for two in the Newmarket Room and a late 3pm checkout for around $270.